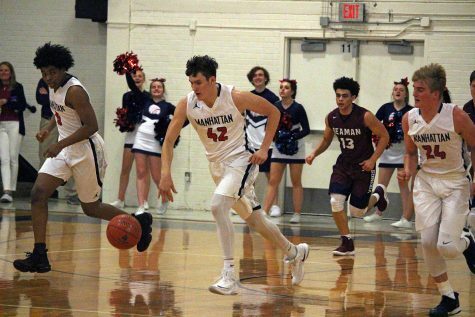 In their first home win of 2019, the Manhattan High Varsity basketball team (7-7) defeated the Topeka West Chargers (3-8), 57-47 after being down by four at the half in a key Centennial League win. The Indians move to 4-4 in league play, which places them sixth out of nine teams. The Indians had ups and downs in the first half. They fell behind 2-9 within five minutes but turned it around and went on a 7-0 run to tie it at the end of the quarter. In the second quarter the lead changed between the two teams, but Topeka West would pull ahead before the half 25-21. In the second half, it was all MHS. The Indians outscored the Chargers in the second half 36-22 behind Braxmeyer’s 13 points, 11 coming in the second half, and secured the win 57-47. 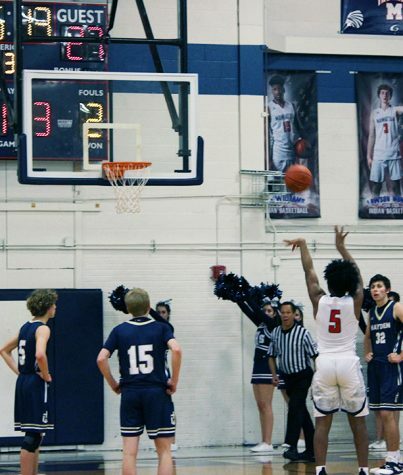 The Tribe shot 45 percent from the field while shooting 75 percent from the free throw line. 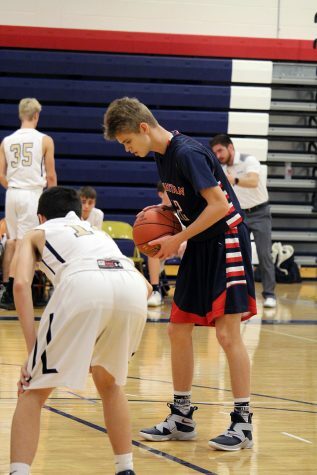 The MHS Varsity Basketball team (7-7) will travel to Topeka this Friday to face off with the Seaman Vikings (7-4). Earlier this season, the Indians defeated the Vikings on home court in overtime 50-49 in a thriller of a game.